but I don't want my house to smell like I have a dog and three stinky kids! 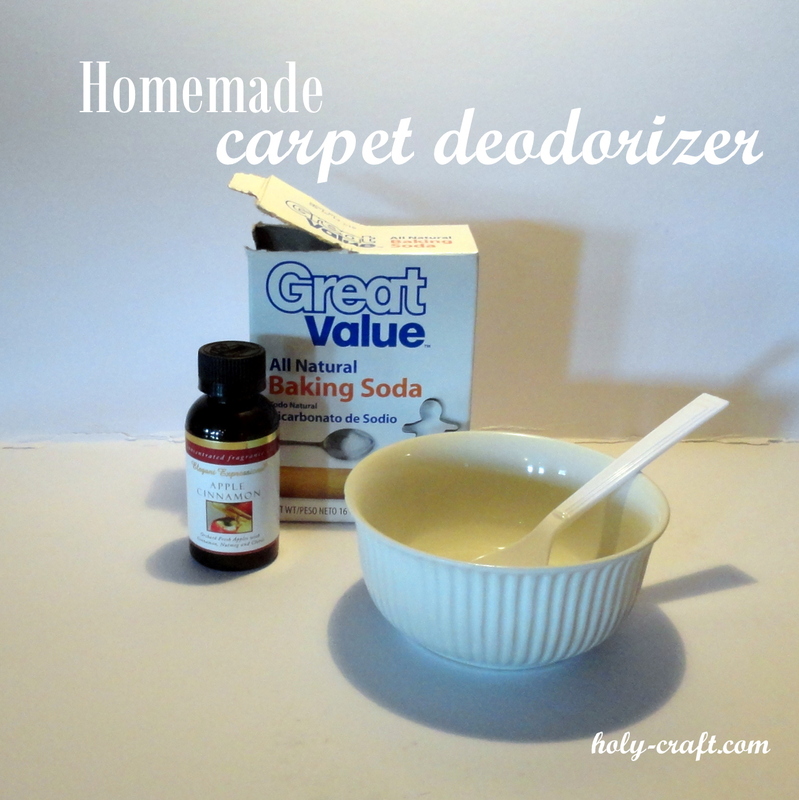 So I make my own homemade carpet deodorizer that I use once a month when I vacuum. I'm excited to show you how. 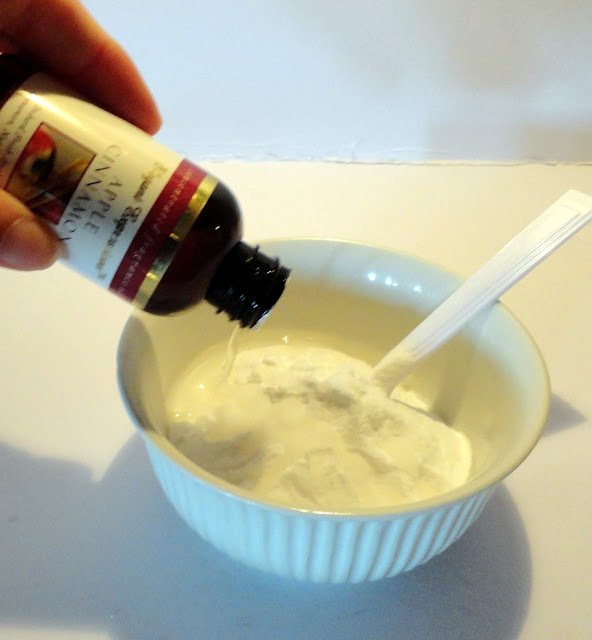 I pour baking soda into a bowl and add about 5-6 drops of fragrance to the baking soda. 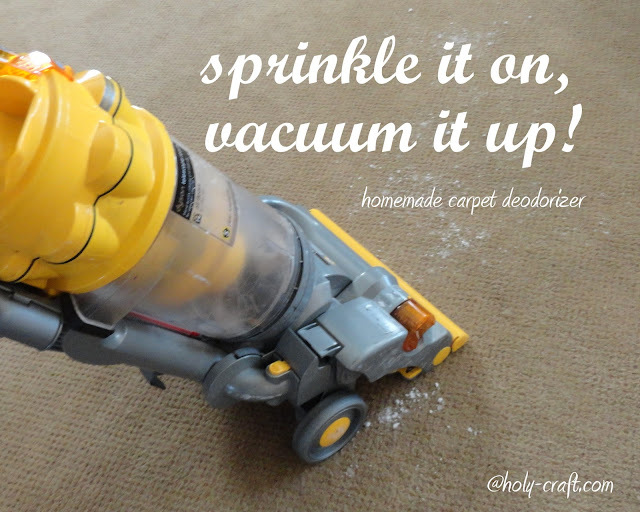 and then vacuum it up! If my kids are home, this is their favorite part. They love making a mom approved mess! Easy as that! The house smells nice and fresh! Fabulous idea! Where did you get the fragrance from?